Years of construction have come down to one last coat of varnish as Ace Cafe Orlando is just days away from opening its doors on May 19. "It's been a long time coming," Ace Cafe Orlando Chief Marketing Officer Steve Glum told Orlando Business Journal during a May 16 walk through just three days before the British-based motorcycle- and muscle-car themed diner-style eatery will celebrate the grand opening of its first North American location. The entertainment complex will feature a coffee bar, restaurant, live music venue, an art gallery and retail tenants, all housed in the historic Harry P. Leu site at 100 W. Livingston St. The rehab of the 3-acre parcel began in early 2015, and faced its share of delays due to the condition of the 91-year-old building. 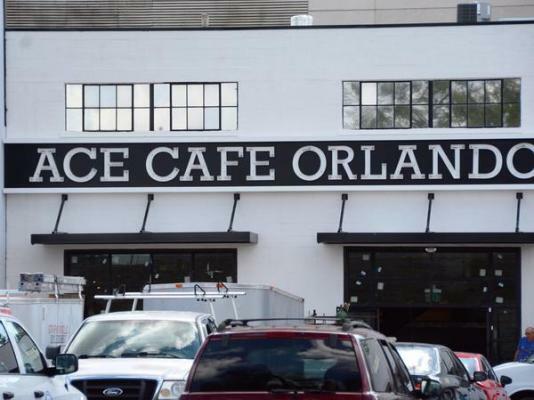 "We chose the location for its history and personality, but there was a lot to restore," Ace Cafe Chief Operating Officer Eric Forward previously told Orlando Business Journal during a March 28 media tour. "We found about five different ceilings layered one on top of the another on the main building, all of which needed to be pulled off piece by piece." Phase one of the project includes a 14,000-square-foot restaurant complete with bars, lounges and a stage. There is also 18,000 square feet of retail space that will feature a motorcycle dealer, a motorcycle safety gear retailer and the Stonebridge Motorgallery fine art gallery. Phase two, slated to open this summer, includes an outdoor concert venue and Oklahoma Joe's BBQ. Ace Cafe Orlando already has added 175 jobs to the local economy and will widen the region's restaurant and entertainment choices while adding a lifestyle component that will make Orlando more of a destination for motorcycle and automobile enthusiasts and rock 'n roll fans. See the photo gallery for the latest look at Ace Cafe Orlando and stay tuned to Orlando Business Journal in print and online for more news from Central Florida's commercial construction industry.